At Bradan Group, our Car Bench Muraena Jig Bench is the foundation to our collision repair department. Made of German Mannesmann steel and built in Massa Italy, this jig bench allows us to repair exotic vehicles to aircraft precision. 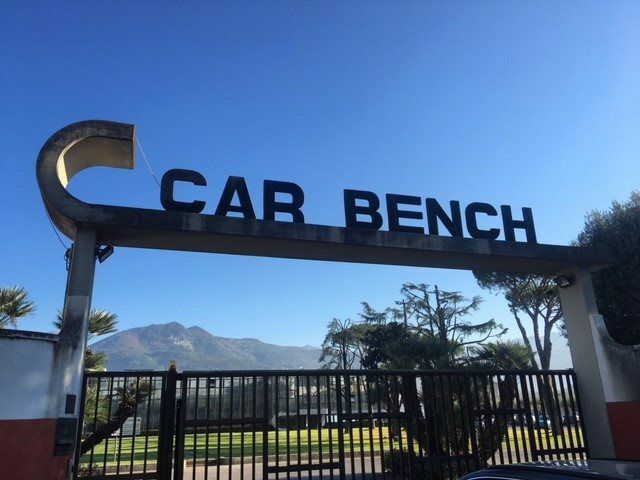 Car Bench is the only frame machine approved by Ferrari and also carries OEM approvals from Maserati, Lamborghini, BMW, Porsche, Bentley, and Rolls Royce to name a few. If you ever heard that a car is never the same after an accident, it's because most benches only use 4-10 fixture points that come from reverse engineering a production chassis. What's unique about Car Bench is their involvement with the OEMs at the prototype stages, as well as the after-sales report. This means we can truly restore your vehicle to pre-accident condition and tolerances. When shopping for jig benches, viewing the factory in person was very important to me in understanding the company, equipment quality, and all machine features. Car Bench was the only manufacturer that welcomed me with open arms. Every other brand manufactured there jigs in Indian or China. I offered to travel to the factories regardless, and was turned down. I flew to Massa Italy to meet Lorenzo for a tour of his family's factory to see the benches built start to finish. An important aspect of Car Bench, is that they start at a prototype level with the OEM manufactures. Porsche and Ferrari both worked with Car Bench to prototype models such as the Boxster and 360 Modena. Their benches start out as a solid piece of Mannesman steel, which is considered one of the highest quality steel manufacturers in the world. Steel is brought over by train to Massa, where it starts off machining the cross rails. A major difference I noticed was the CNC machines are operating down to a tenth of a millimeter, when the industry average is 2 millimeters. Meaning Car Bench is operating at aircraft precision. As a testament of the steel's quality, the actual cross rail is threaded - most just pass a bolt though the beam, since the low quality steel would rip the threads out over time. The main bench frame is welded all the way down the complete rail for strength and left unfinished. Most manufacturers have to stitch weld sections of the bench, since the low quality steel would warp from the extreme heat. Each bench is galvanized so you can still see the steel's quality and welds where most cover up their flawed bench with heavy paint. 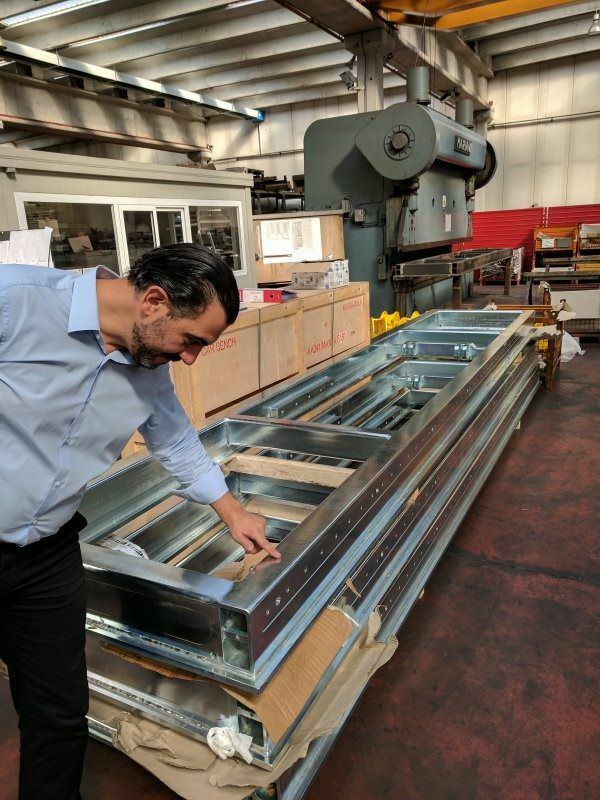 Here, Lorenzo proudly shows benches out of the galvanizing bath. The pull post that actually pulls on the frame can turn 270 degrees in either direction and has adjustable heights so you can pull the damaged metal in the exact same position of the impact. Each jig mount is made from a cast rod, where most brag about their solid steel jig mounts. In this situation, stronger is not better. The pulling force is strong enough to pull a car's frame straight and can bend the jig fixture just as easily. The problem is if you bend a jig point without knowing, you will be repairing every car after that with bent inaccurate tooling without even realizing it. Car Bench designed a hollow cast mount that intentionally will break if pulled beyond its rated limit, letting the operator know it's damaged. It was an honor to meet Lorenzo and his family. After meeting them and touring the factory, my decision was clear. 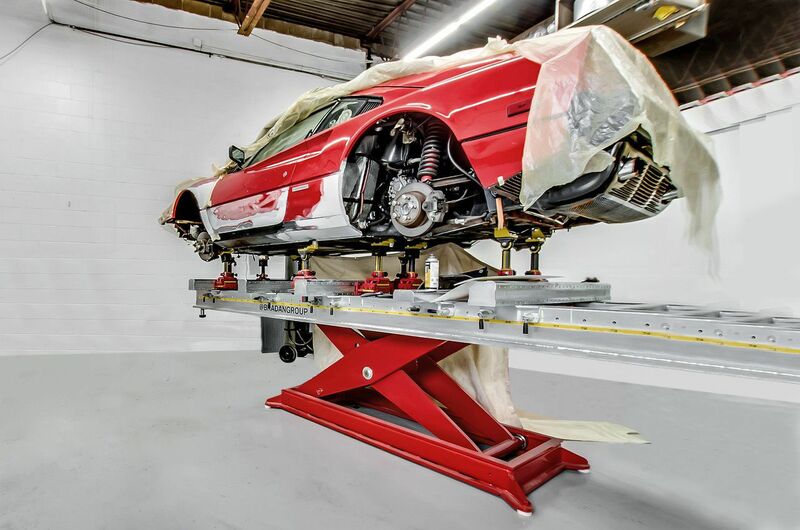 A Car Bench jig bench is the only equipment that operates at a standard high enough to repair exotic vehicles correctly.